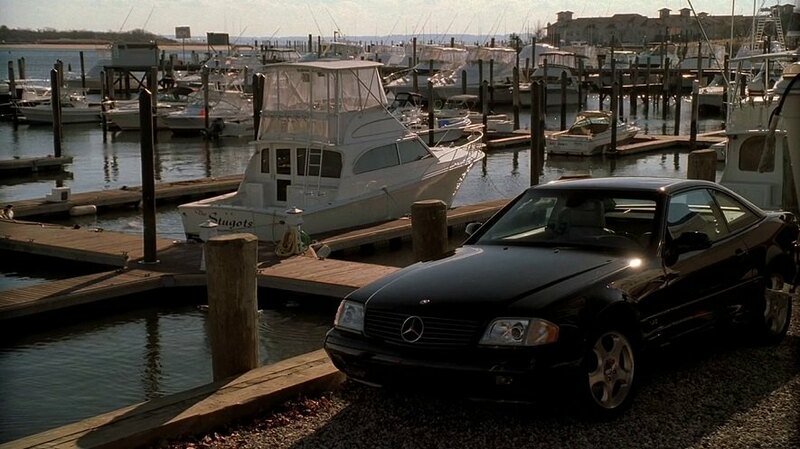 IMCDb.org: 1999 Mercedes-Benz SL 600 [R129] in "The Sopranos, 1999-2007"
In episode 3.8 "He Is Risen", Tony begins an affair with Mercedes saleswoman Gloria Trillo (Annabella Sciorra). Taking this SL600 out for a test drive with her is the perfect excuse for an afternoon of passion. 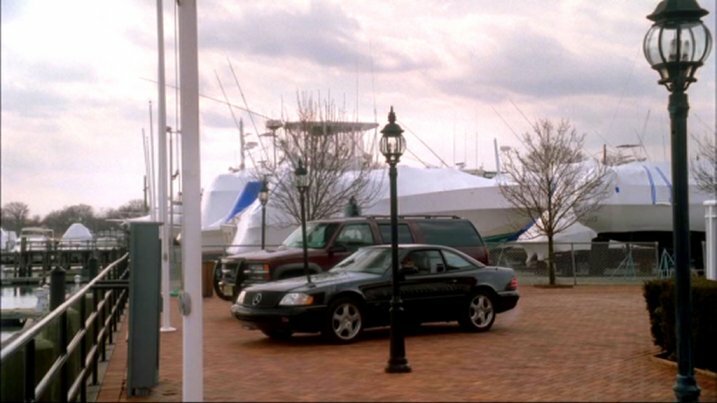 Gloria also has her own black SL, so presumably this car was reused when her car appeared in episodes 3.11 and 3.12. Only shown driving away, pulling up or parked. 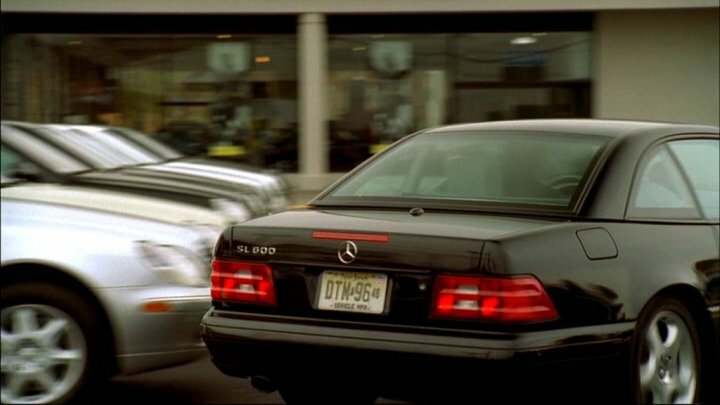 Question: is the hard top on the Merc SL a convertible or permanent? Newer ones have a foldable steel roof, but the one in the large pic should be a fixed top. SL R107 existed with a fixed top, the SLC C107. But for for the R129 there is no SLC or C129 as far as I know.